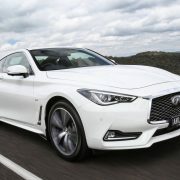 Nissan`s luxury subsidiary Infiniti has recently announced the arrival of the sporty and hot-looking Q60 in Australia, the model arriving in four trim levels, two of them already available in dealerships, followed by by other top of the line variants in March, next year. 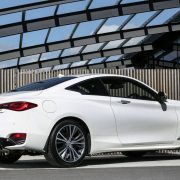 In terms of pricing, the cheapest version is the Q60 2.0T GT with $62,900, followed by the 2.0T GT with Enhancement Pack at $65,900, 2.0T Sport Premium at $70,900 and the the 3.0TT Red Sport, at $88,900. 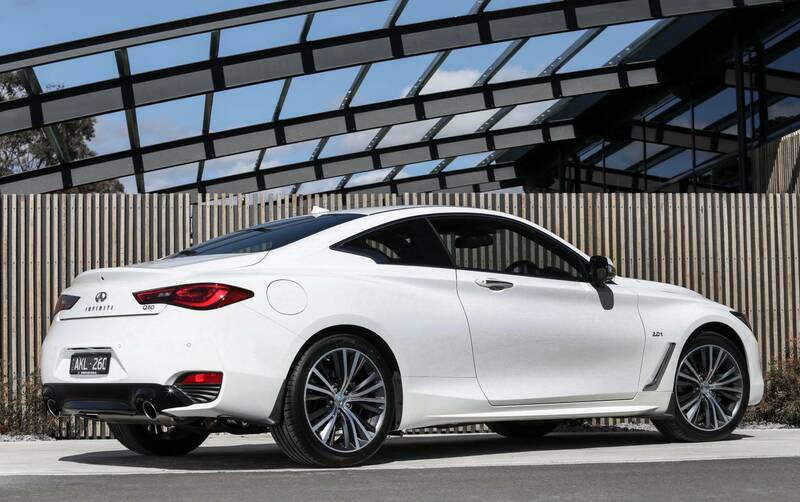 As opposed to the present model, the all-new Infiniti Q60 looks quite different with the new sport elements, which add a more aggressive look and feel. We should thus depict the new front with headlights on the chromed grille, lower integrated front lip spoiler as well as new fog lights clusters. 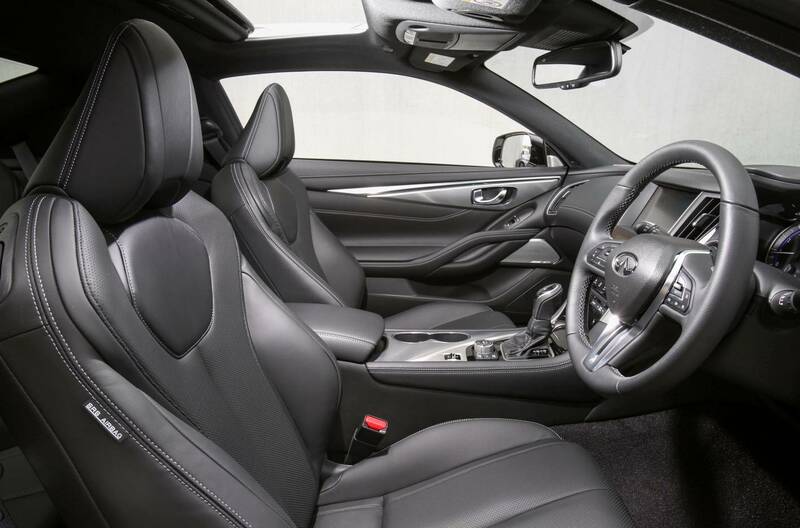 Inside, the cabin welcomes you with the same sporty feel, thanks to the new twin-touchscreen with 8.0-inch display, coming with new satellite-navigation, 7.0-inch display for different applications, 13-speaker Bose Performance Series sound system, and much more. 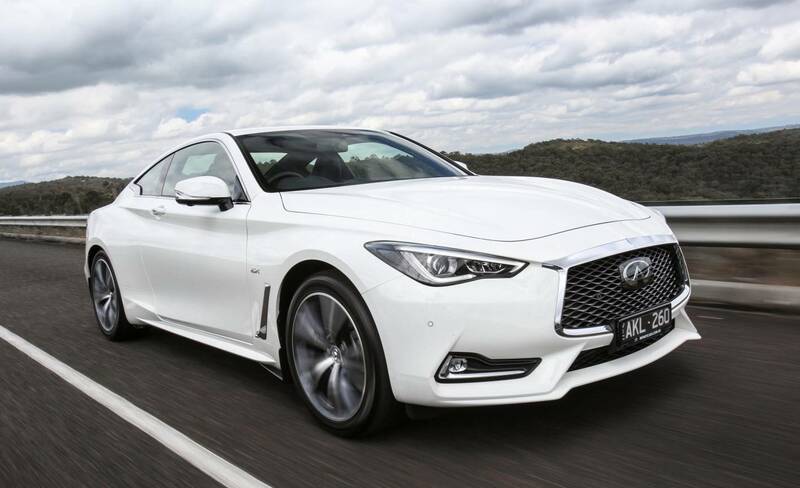 In the engine department, the new Infiniti Q60 comes with a standar 2.0-liter turbo flat-four cylinder engine, with 155 kW adn 350 Nm of torque, and sprint from 0 to 100 km/h delivered in 7.3 seconds. The fuel-consumption also stands at 7.7 liters per each 100 km. As the name suggests, the top of the line 3.0TT Red Sport arriving next March, will come with a 3.0-liter twin-turbo V6, developing a good 298 kW and 475 Nm of torque. 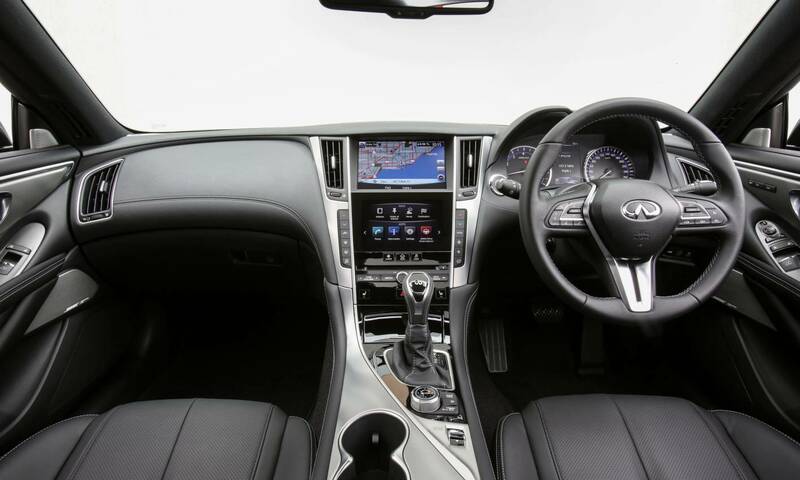 Other features coming as standard refer to the Rack Electronic Power Steering with various driving modes, in the GT version, as well as the seven-speed automatic with rear-wheel drive setup for all versions.